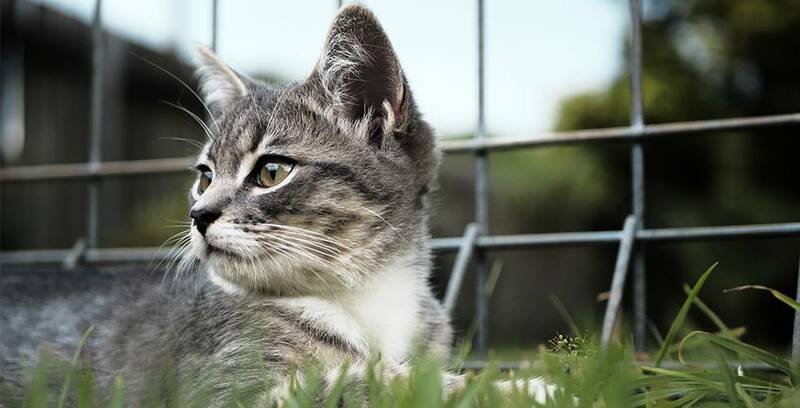 Cat Safety: How Do I Keep My Cat In My Backyard? Home / Learning Centre / How Do I Keep My Cat in My Backyard? How Do I Keep My Cat in My Backyard? Keeping your cat indoors will protect it from the very real dangers posed by cars, dogs, people and disease, including the fatal Feline Immunodeficiency Virus. However, we recognise that you don’t really get the final say when it comes to your feline master’s routine. Certain, active breeds - like the Bengal, Egyptian Mau, Abyssinian and Siamese - may grow restless indoors no matter how luxurious their surroundings. But, whatever the breed, a cat used to roaming the neighbourhood will be difficult to negotiate with. However, a com-purr-mise is paw-ssible. Use one, or a combination of these options to turn your backyard into a kitty-safe space. As sharp as they are, your cat’s claws will not be able to get a grip on a metal fence. Although quite pricey, a barrier two metres or higher should deter even the most acrobatic feline. Be sure to plug any holes underneath the fence. Fictional studies suggest that cats are made out of liquid, so be careful of them leaking out of the smallest gap. Also, make sure to cat-proof any potential springboards, from which your cat could leap over the fence - you may need to install steel banding around tree trunks, for example. Finally, don’t neglect your neighbours side of the fence! You will need to coordinate with them to ensure no foreign cats have a springboard into your yard, where they will then be trapped. And beware of a conspiratorial dog digging an escape route for your little Mew-dini. Installing roller bars at the top of your fence will prevent your cat from getting any purchase. The Oscillot system, for example, has four metal fins that rotate under pressure, foiling both your kitty and any dastardly invaders. If it is impractical to install this system around your entire fence-line, consider cat-proofing a smaller section of your yard for frolicking in. Don’t forget to eliminate springboards, or else your roller bars will become just another hurdle to clear. We know they look sinister, but these plastic strips are quite harmless - designed to cause discomfort without actually hurting your furry friend. Simply install them on your fence, and ensure that there are no springboards from which to leap over the top. 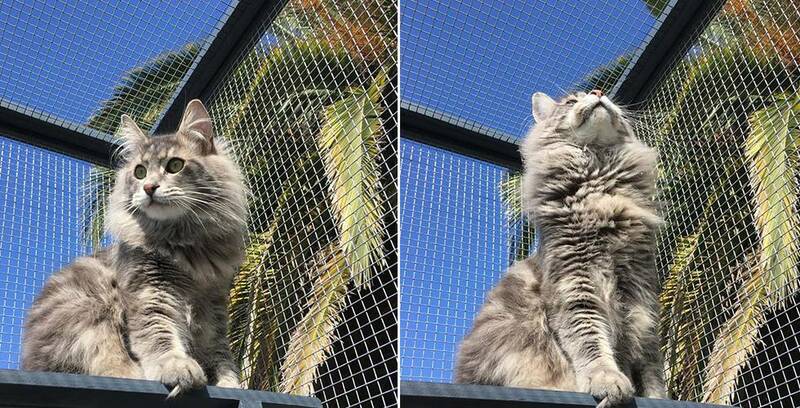 The RSPCA recommends building or buying an outdoor cat enclosure, and we completely agree. An outdoor enclosure with a roof is by far the safest option for your cat, and guaranteed to keep any unwanted visitors away. Many enclosures come with sleeping areas for relaxing in, and if you keep them well stocked with toys and activities, your furry friend won’t be wanting for anything. Enclosures can be modified to make even more space for play, and can also be dismantled for easy transport. While we recommend leaving the hard work with the experts, if you fancy yourself particularly handy you could DIY one of the above options. However, if you’re looking for guaranteed, quality enclosures that come together easier than your cat gets your attention, look no further.